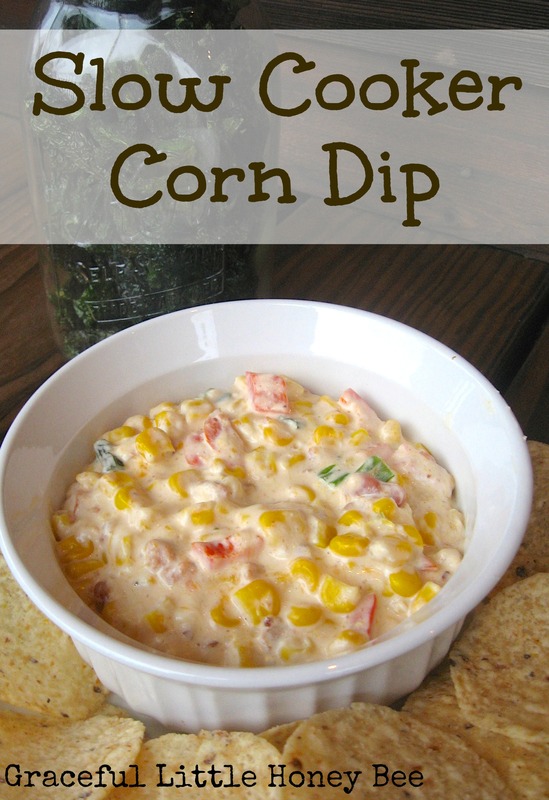 I’m pretty sure this slow cooker corn dip is the best dip I’ve ever had. My husband loved it too, so it’s man approved. I had to stop myself from eating it all myself. It’s the perfect warm and creamy dip for a cold fall day. I’ve adapted this recipe from here. Step 1: Mix all ingredients in slow cooker, except the cream cheese. Step 2: Add cream cheese in dollops on top of mixture. Step 3: Set slow cooker on low for 2 hours. Step 4: Stir and serve with tortilla chips. Mix all ingredients in slow cooker, except the cream cheese. Add cream cheese in dollops on top of mixture. Set slow cooker on low for 2 hours. Stir and serve with tortilla chips. I am joining from the Frugal Friday Link Up Party. This looks delish! Do you recommend using with tortilla chips or crackers? opps..just read tortilla chips. ;). Thanks for sharing!